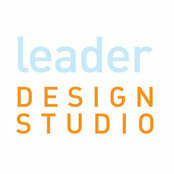 MISSION Leader Design Studio is a Sarasota, Florida based architecture firm founded in 2011 by Chris Leader. 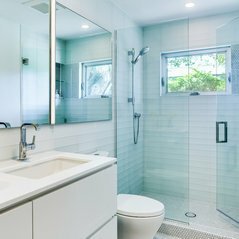 Specializing in new single-family construction, extensive renovations, waterfront properties and condominium renovations, Leader Design Studio has a broad range of experience creating thoughtful homes suited to our clients’ unique needs. 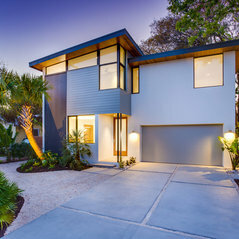 With a combined 25 years of experience, Leader Design Studio and its staff have designed and completed over 50 custom homes in Southwest Florida over the last 10 years. We are a full service design firm and we oversee residential projects from initial concept design through construction administration. 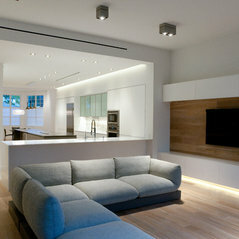 VISION Leader Design Studio is fully committed to designing thoughtful, responsible, and sustainable homes. 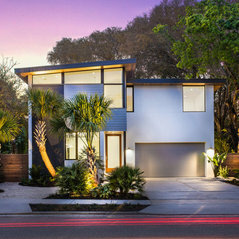 Thoughtfully designed buildings connect us to our natural environment and improve the quality of everyday life. 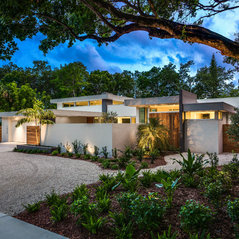 We design site-specific homes to be respectful and responsive to the surrounding community and take deep consideration for the larger social and physical context. Our projects optimize natural light and ventilation, use locally sourced materials, and employ the most energy efficient products and systems. With each project, we strive to contribute to a more sustainable way of living and future. 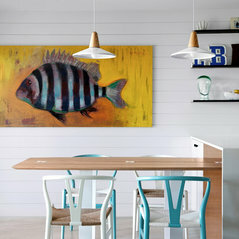 Among our LEED Certified Platinum projects are the Lido Deck Haus, Fish Camp and Lotus on Orange. Comentado: Are the window frames white on this home?The window frames have a clear anodized aluminum finish on this house. 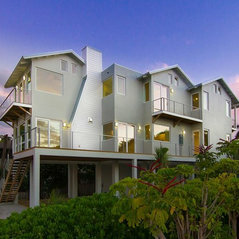 Comentado: Size of homeThis house is 29' wide by 67' long including the front and rear decks. As Josh said this would likely fit on your lot depending on zoning setbacks. Comentado: Where is the rug from?where is the lamp from? Comentado: Bar cartwhat is the paint color?